T-Mobile introduced its Enhanced Voice Services (EVS) today. The carrier describes it as a next-generation voice technology for which a patent is pending. Among the features that EVS provides to T-Mobile customers is improved call reliability. This means that even in areas where there is a weak LTE signal, dropped calls will be a rarity. Using a broader range of audio frequencies, EVS call quality is even better than what you have been hearing using HD Voice. And the beauty of this technology is that it works on both T-Mobile's LTE network, and over Wi-Fi. EVS is available right now out of the box on the LG G5. A software update sent out this week added the feature to the Samsung Galaxy S7 and Samsung Galaxy S7 edge. By the end of the year, seven T-Mobile branded smartphones will support EVS. And when a T-Mobile subscriber is in conversation using a EVS compatible phone, he or she will receive the benefits of the feature even if the person on the other end is a customer of another carrier. T-Mobile also revealed that its roll out of VoLTE led to today's introduction of EVS. According to the nation's third largest carrier (and the only mobile operator whose CEO isn't afraid of mentioning SpongeBob Squarepants in a promotional video), calls go through twice as fast using VoLTE. 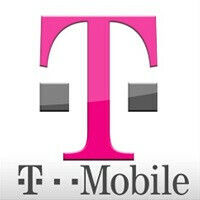 27 million T-Mobile customers using 40 handsets that support the service, are making 300 million calls a day using VoLTE. That represents more than 50% of all calls that go through T-Mobile's pipelines daily. So probably no Project Fi Support? Let us take a minute... ... God bless. Damn! T-Mobile just keeps getting better and better all the time. If you live in NYC area, do NOT activate that damn thing. I have it now on AT&T and it forces my Note 4 during a call to stay at 1 bar of 4G LTE and loses reception. If i disable it, it switches to 4G right away and i have good reception. It's not ready yet or perhaps T-Mobile is much better than AT&T in NYC area/Long island as well.